South Korea's state-run energy firms have poured $38.85 billion into overseas resource development projects, but they have recouped a little over one-third of their investment due to a sharp drop in oil and gas prices in recent years, a report showed Monday. South Korea's state firms and private companies have spent a combined $74.63 billion on 476 resource exploration projects in 62 countries, including 141 in petroleum and gas, and 355 in mineral resources, according to the report submitted by the Ministry of Trade, Industry and Energy to the parliament. They have recovered 54.9 percent of their investment in the forms of profit, dividends and asset sales through the end of 2016, the ministry said. State companies in oil, gas, resources and electricity, on the other hand, recouped 36.7 percent of their investments. Their return rate was less than half of private companies, which have spent $35.78 billion and collected 74.8 percent of their funds through 2016. The state utility corporations in South Korea have been making huge losses from overseas development projects that were aggressively pushed under the former Lee Myung-bak administration (2008-2013) amid higher oil prices. But the recent crude price fall, and US shale oil output and natural gas boom have taken a toll on the state-run energy companies. Korea National Oil Corp. has invested in 27 projects and failed to get profits from 22, the report said. 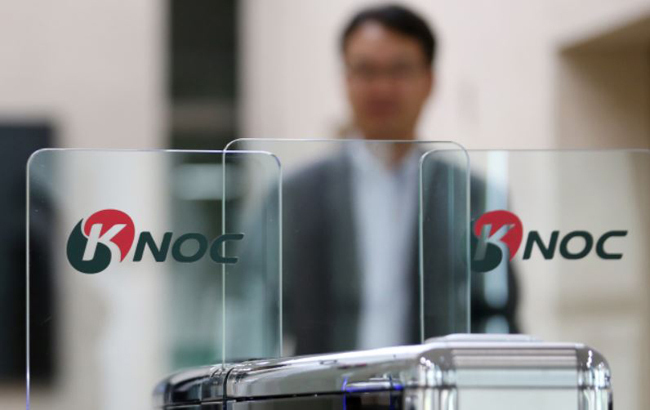 KNOC acquired a majority stake in UK-based Dana Petroleum for $4.95 billion in 2015 but recouped only $1.97 billion. It took over Canada's Harvest Energy in 2009 for $4.08 billion but earned only $4 million in 2014 as the US shale oil and natural gas boom eroded its profits. Harvest's book value has plunged to $254 million since the Korean firm's investment. Korea Gas Corp. invested $12 billion to buy a 15 percent stake in Gladstone's liquefied natural gas project in Queensland, Australia, and has recouped 34.5 percent of its investment. KOGAS, the world's single-largest buyer of LNG, bought a 50 percent stake in Horn River shale basin in Canada for $791 million but slipping gas prices hurt its profitability. Korea Resources Corp. invested $4.36 billion in 32 overseas projects but got a return of only 9.7 percent from its investment.